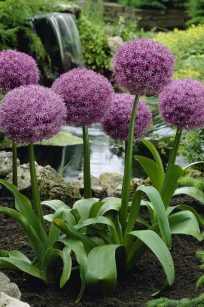 Add height and interest to the late spring through early summer garden with Allium Globe Master. 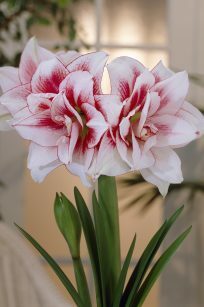 With blooms lasting 3-4 weeks, they are known best for their globe-shaped flowerheads composed of shimmery pinkish-violet florets. 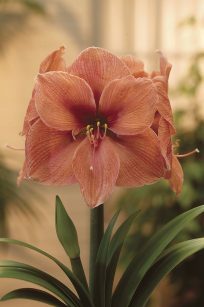 Growing atop 32-36″ sturdy stems, they attract butterflies and bees no matter where they’re planted. Versatile and hardy, they return year after year with minimal care and attention. Amazingly easy to grow. 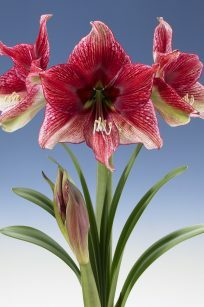 Enjoy enormous blooms year after year. Bloom late spring to early summer. 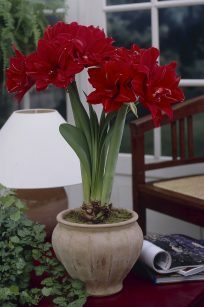 Can be grown successfully in containers and tubs. 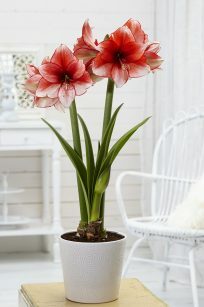 Use to add interest to cut flower arrangements. Deer resistant. 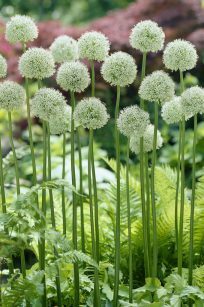 Planting tip: Select a site carefully for your Allium Globemasters. Because they do not like to be moved, permit them to stay where they were originally planted for 3-4 years before moving them to another location. Bulblets often form along the main bulb. 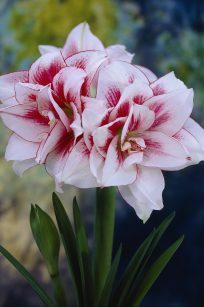 When flowers diminish in size, dig the bulbs up in the fall, remove the bulblets and plant them in another location or give them to family members and friends to use in their gardens. 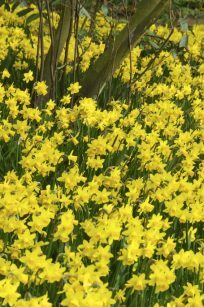 If you're searching for a look that's anything but subtle, plant a huge drift of Yellow Mammoth Crocus bulbs. Everyone knows that crocuses are the harbingers of spring, and these huge, deep yellow flowers shimmer in the sunlight. There's nothing more reminiscent of the summer sun yet to come. 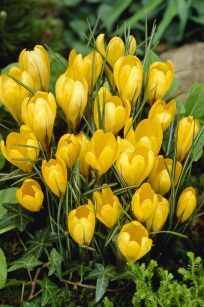 In the language of flowers, crocus translates to cheerfulness, which is what these bright yellow darlings bring to the garden. Hardy and drought tolerant, they multiply and return year after year. 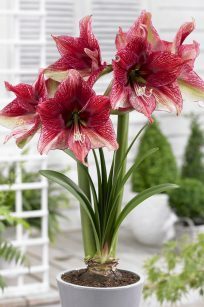 Growing just 4-6″ tall, they're great planted beneath shrubs and deciduous trees, along walkways, and even in containers on patios, decks, and porches. Amazingly easy to grow. Carefree and naturalizing. Attract butterflies, birds, and bees. Deer and rabbit resistant. Grow 4-6″ tall. Bloom in early spring. Planting tip: For a more natural look, plant crocuses in clusters rather than in straight lines. 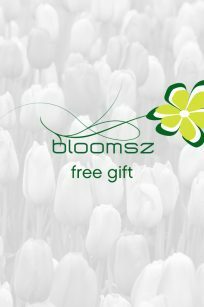 To achieve a naturalized look, crocuses can also be planted in the lawn. Toss handfuls of bulbs onto the desired area of the lawn and plant them where they fall. Just don't mow the lawn until the leaves of the crocuses have died down. 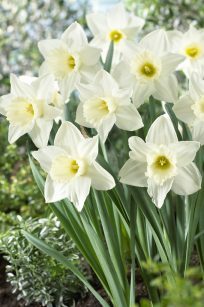 As white as freshly fallen snow, Mount Hood Daffodils rank among the best loved of all white daffodil varieties. 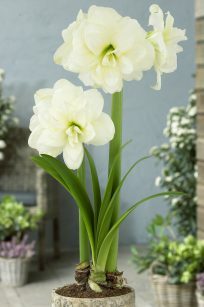 Large, classic daffodil-shaped flowers grow on strong, sturdy stems and open as pale yellow, maturing to pristine white. 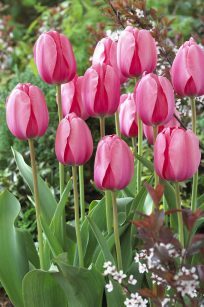 Plant them among brightly colored spring flowers to provide dramatic contrast. 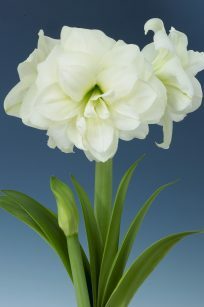 Clip some to use in spring cut flower arrangements to brighten the indoor landscape also. Amazingly easy to grow. Carefree and naturalizing. Excellent cut flower. Deer, rabbit, and drought resistant. 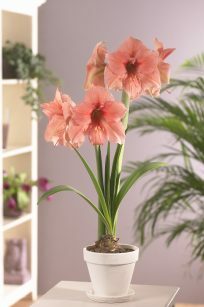 Grow 14-16″ tall. 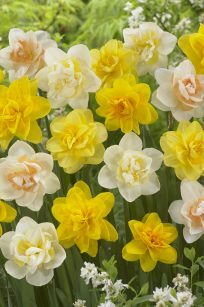 Tete-a-Tete Daffodils have long been the most desired and popular of all miniature daffodils. 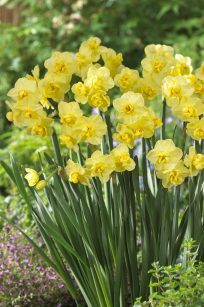 Buttery yellow petals surround darker yellow cups of flowers that usually bloom two per stem. They're excellent grown in masses at the front of borders and beds, and their short stature makes them ideal for rock gardens. 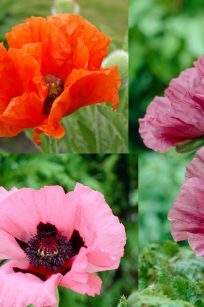 Enjoy a profusion of flowers whether you plant them in full sun or partial shade. 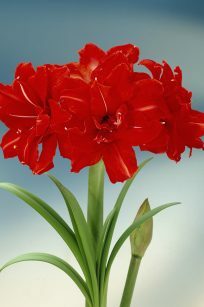 Clip some to use in spring cut flower arrangements to brighten the indoor landscape also. Amazingly easy to grow. Carefree and naturalizing. Excellent cut flower. Deer, rabbit, and drought resistant. 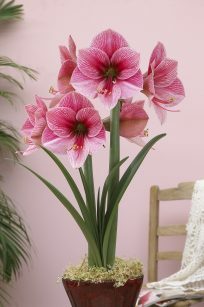 Grow 3-6″ tall. Bloom late winter to early spring. 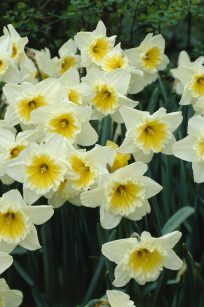 Planting tip: For a more natural look, plant daffodils in clusters rather than in straight lines. 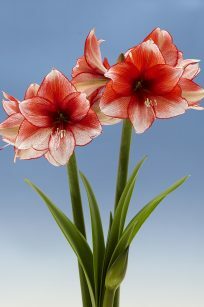 To achieve a naturalized look, they can also be planted in the lawn. 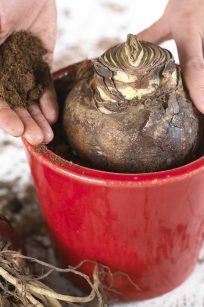 Toss handfuls of bulbs onto the desired area of the lawn and plant them where they fall. Just don't mow the lawn until the leaves of the daffodils have died down. 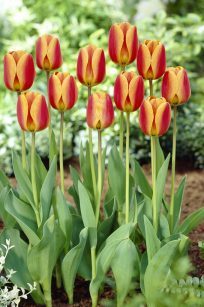 Darwin tulips are the classics of the tulip world with the shape everyone associates with these beautiful spring flowers. 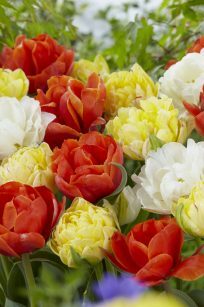 Our Apeldoorn Elite tulips will provide a WOW factor along with the classic shape tulip lovers adore. 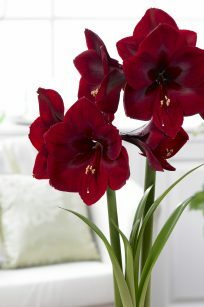 Cherry red petals with a thick edge of deep golden yellow are borne on strong, sturdy stems. With their delicate fragrance with just a hint of vanilla, you’ll want to plant them close to an entrance way to welcome guests. 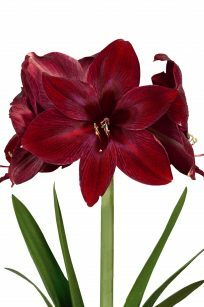 These long-lasting flowers resist fading, and with their strong, sturdy stems are perfect in beds, borders, rock gardens, and containers. They’re delightful additions to cut flower arrangements and look great when several are tied together and placed in clear glass containers. 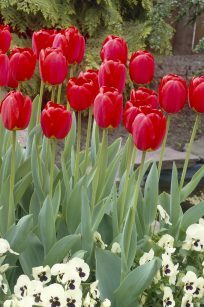 Fill the empty spots in your garden beds and borders with our Double Late Tulip Mix. Large, double-petaled blooms up to 4″ across when fully open resemble old-fashioned peonies. 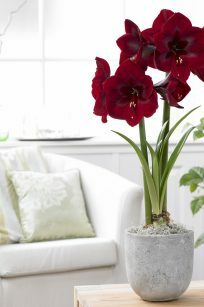 Showy and unusual, this colorful mix may include flowers of red, white, burgundy, pink, or yellow. 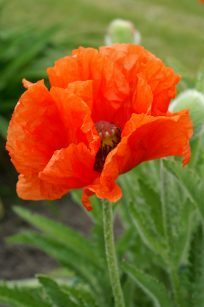 Also great in rock gardens or when added to containers, they extend the joy of the spring flower season. Clip a few and bring them inside; tied together with raffia they're impressive additions above the fireplace and as centerpieces on a table. 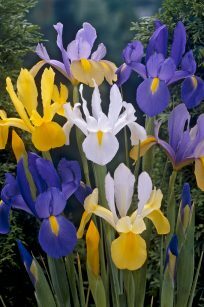 This brilliant Dutch Iris mixture enhances any landscape. 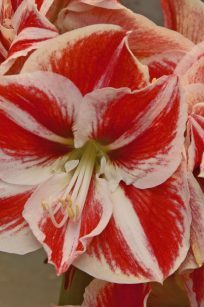 Long lasting vibrant flowers appear in late spring. Excellent cut flowers and a snap to grow.